At Facebook's F8 developer conference on Thursday, WhatsApp co-founder Brian Acton made it clear that the feature allowing live phone calls to be made from the app will be offered to iOS users in a matter of weeks. Acon said that WhatsApp spent the last year getting the feature ready to run on Android. Now that the platform supports WhatsApp calls, iOS is next. We can't say that all Android users are ecstatic about WhatsApp's calling capabilities. After all, you need to get invited by a fellow Android user in order to make calls using the app, unless you have root access. In that case, you don't require an invitation to make a call.Eventually, Android users will be able to make calls through the messaging app without having to be invited to use it. And yes, there is a way for iPhone users to make calls right now on WhatsApp as they await the update, but that apparently requires a jailbroken iPhone. Acton originally said that the calling feature would be available for iOS users in a couple of weeks. When pressed, he backed off that comment and said it would happen in "several" weeks. 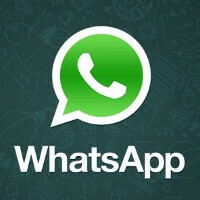 The goal is for WhatsApp to allow iOS and Android users to make phone calls using the app without invitations or jailbreaks on Android and iOS. That will happen down the road. Right now, the best thing WhatsApp can do is exactly what it is doing. Test the infrastructure, allow limited use of the feature and prepare for it to be used heavily on both the iOS and Android platforms once it is officially released. already using it on android..
its not usefull though. i also have it, but i dont see the point, having wifi calling and HD voice, VoLTE. on iphone, they have facetime calls, whhy would anyone use whatsapp calls over facetime calls? I guess you need, or want app, if you have family and friends in other countries. Most plans in the US offer unlimited voice and text. I got Voice Call on WhatsApp automatically & tried for few times. I got fantastic voice quality 50% Calls & exceptionally bad voice quality & echo in balance 50% calls. My suggestion : Use WhatsApp Voice Call facility to talk with your friends but don’t use it for important calls till they fine tune the App.